I’ve got some fabulous cards and artwork to show you this morning from etsy store Vera La Lune. Vera La Lune’s cards are just beautiful. 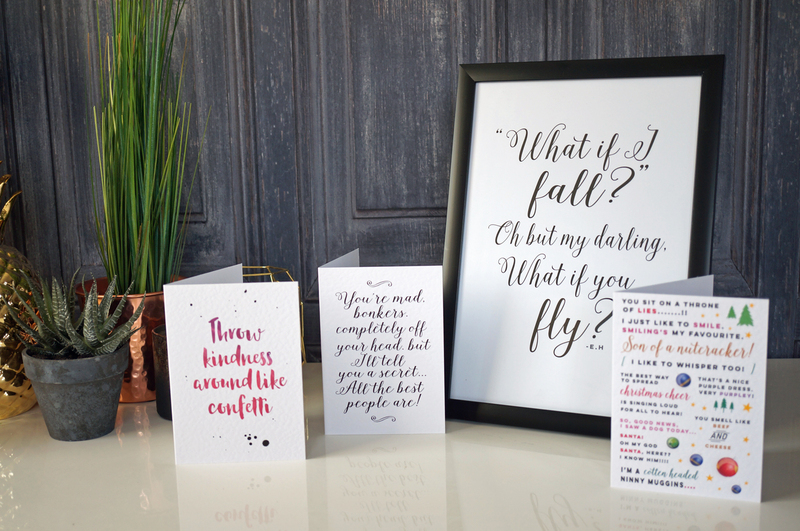 They’re of course perfect for giving as cards, but also for framing and giving as gifts. 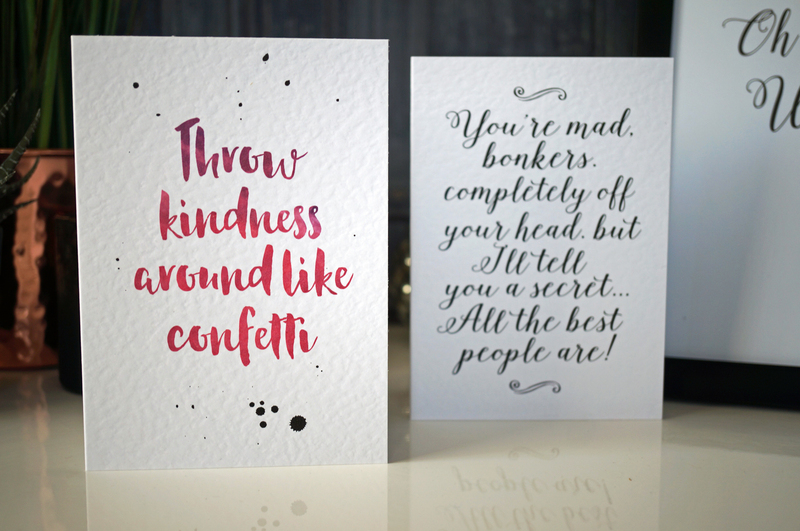 Quotes such as ‘Throw kindness around like confetti’ and ‘What if I fall?, ‘Oh but my darling, what if you fly?’ are printed on fabulous quality card to give a luxe feel to the products. Unfortunately I was quite limited for frames at my local shops, but I managed to find a decent enough A4 one to display the print. 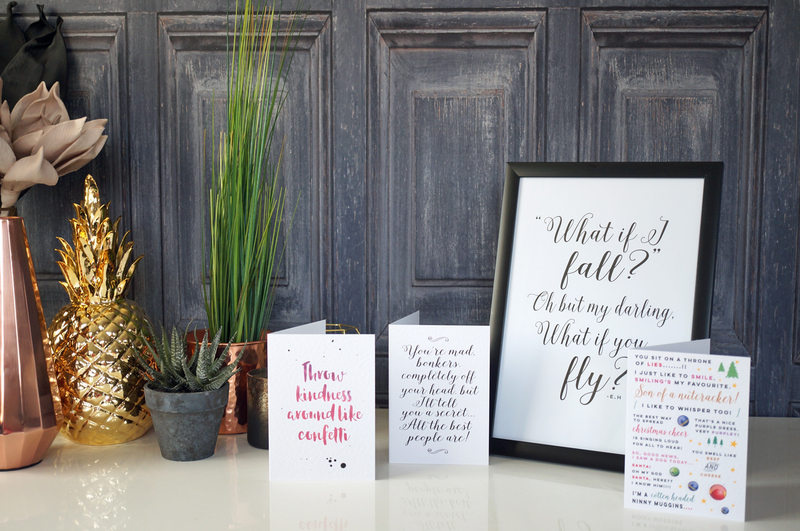 The smaller A5 cards would look great displayed in pretty frames and they’d make perfect Christmas gifts too! 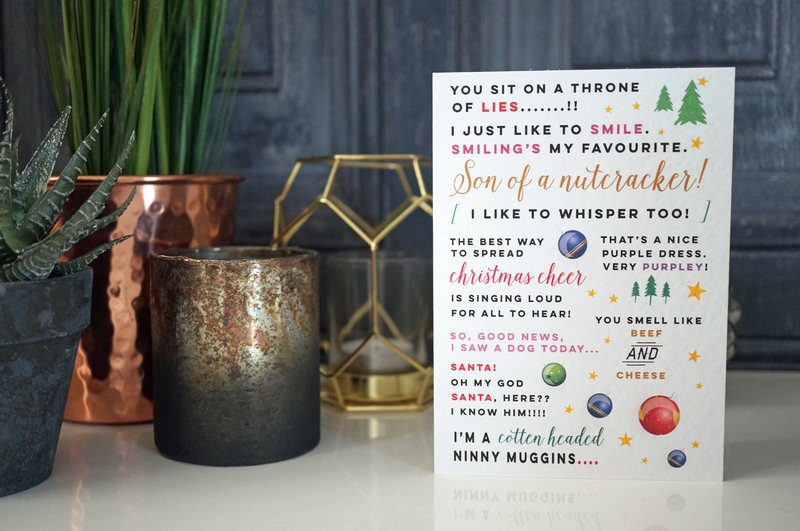 And this has to be one of my favourites – the Elf quote card! Elf is officially my favourite ever Christmas film, I just love it so much, and this card would be perfect for any fan!